Sadly for Truth, Samoa Joe, Rey Mysterio and Andrade came out afterwards. Thus a fatal four-way was set for the US Championship. Samoa Joe took control of the match early as he emptied the ring and then started working the bodies of the two luchadors. However, this allowed R-Truth to lie low and choose his moments. Joe would eventually launch himself through the ropes and suicide dive into Andrade. Joe was about to throw Mysterio over the outside barricade until Truth took him out with a well-timed dropkick. After several near falls, R-Truth hit a spinebuster on Samoa Joe and then slammed Rey Mysterio on the fallen fighter. After hitting a double Five Knuckle Shuffle, Joe kicked out and then sunk in the coquina clutch that was broken up after Rey Mysterio hit a 619. 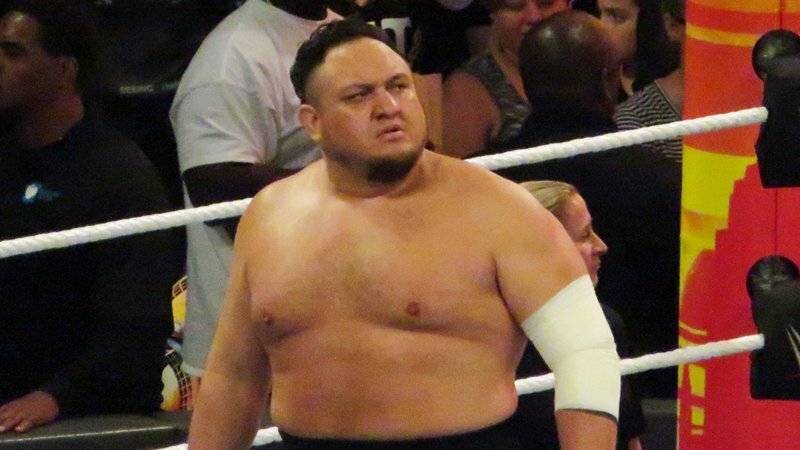 The madness wasn’t over as the finish finally came after Samoa Joe pinned Andrade, who had just taken a 619 and a frog splash from Mysterio.